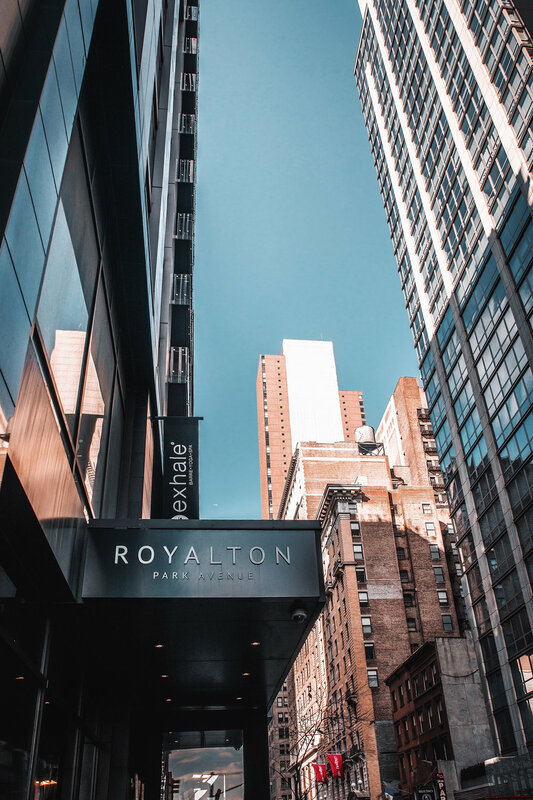 In the heart of it all with Royalton Park Avenue. We’re back home and, you betcha’, I’m excited. Over the next week I’m going to shamelessly sit myself on the couch, catch-up on all my favourite TV series’, reply back to a zillion emails (trillions, I swear!) and reminisce on the time we had in New York City. The Big Apple. The City that Never Sleeps. NYC. Whatever you want to call it, you cannot deny its pulsating, magnetic energy. It was our first time experiencing its infamous wonder and our inaugural trip to the United States. We’d never been before, despite spotting it from across Niagara Falls many years ago, so I was excited to finally find ourselves on the opposite side of the globe, literally. After over 30-hours of travel, from 40°C to -12°C (it took a little adjusting to in the JKF taxi line), we were thrilled to snuggle up in our comfy bed at the Royalton Park Avenue after a hot shower, plenty of water and a Patchology Hydrate Sheet Mask (it’s the bomb when you’re flying so much and every other time, mind you). Even the noise of the city below couldn’t stop us from passing out as soon as our heads hit the pillow. Cue 3:00AM and I was up and ready for the day ahead. You win again, jet lag. We made the most of our superhero early rising skills by Googling the best ramen joints around town and, before we knew it, dawn had come. Our Royalton Hotel Grand Deluxe King room came with its very own private balcony, so we hurriedly rushed through the doors to experience our first morning in the Big City, that is until it got too cold and I retreated back to the comfort of our huge bed. 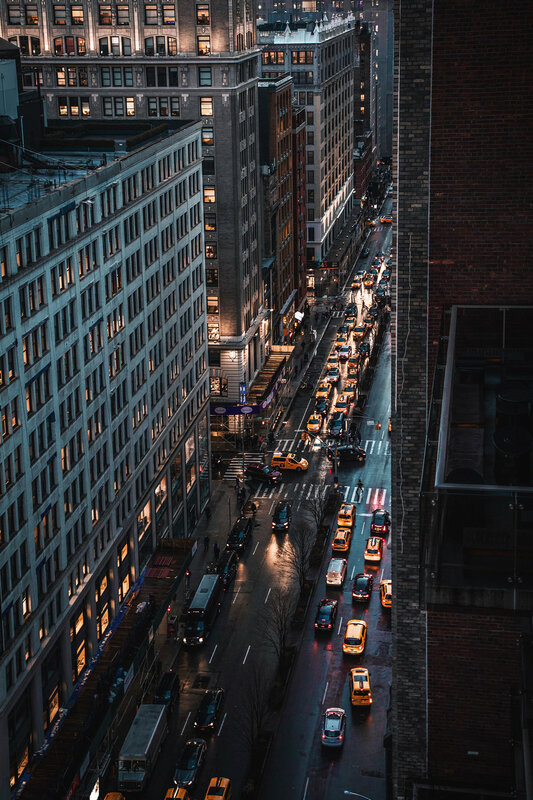 Below us, the daily rush had begun as taxis beeped their horns, people walked briskly down the block (including Brad who was on a coffee and bagel hunt) and sirens began their constant calls. Needless to say, I was in no hurry to join them, instead enjoying a lazy morning in our hotel room. I’m blaming it on the jet lag. I made up for my laziness over the coming days, of course. Our time was spent exploring the area, most notably the Flat Iron District and Korea Town (yes, we found delicious ramen! ), and enjoying the Rooftop at Royalton Park Avenue and its beautiful views across the city.